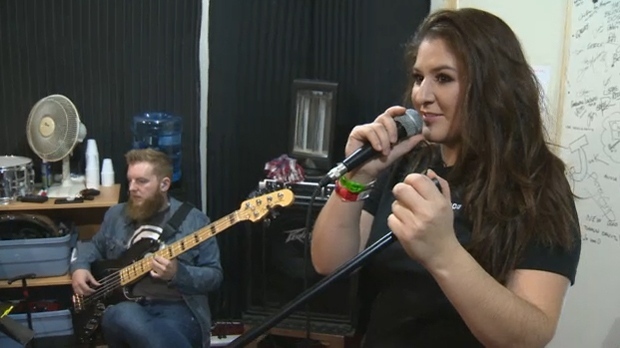 As the backup anthem singer for the Calgary Flames, Michela Sheedy has performed for crowds at the Scotiabank Saddledome before but a cheeky sign and a little luck allowed her an opportunity to sing with one of the biggest names in country music on Sunday. 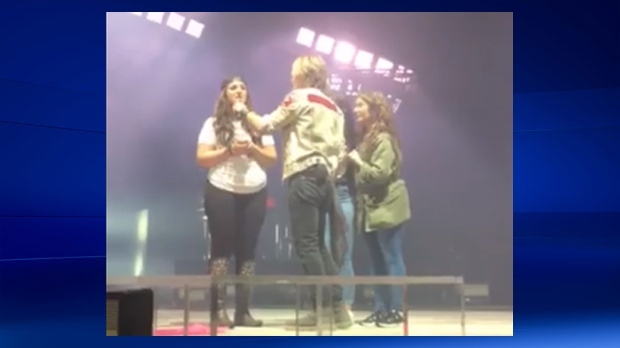 Urban did spot Sheedy’s sign and invited her, her younger sister and her mother on stage while Sheedy’s dad captured the moment from the crowd. “When we were on stage and he was talking to my mom and my sister, I had a moment to myself and said ‘Okay, keep it together. Remember your words’,” recalled Sheedy. Hockey fans will have an opportunity to see Sheedy perform the national anthem ahead of Monday night’s preseason game between the Winnipeg Jets and Calgary Flames. The aspiring musician is also among the artists vying for the top prize in the Project Wild – Country Artist Development Boot Camp and will be performing at the Project Wild Showcase on Thursday, September 27 at Knoxville’s.